Do you require the firing of your I/O at ultrafast and accurate steps in your process? Flexible Robotic Environment has designed and built an Ultrafast Laser Triggering Control Card. Basically we have created a very high-speed I/O firing position synchronous output (PSO) card for your processes. 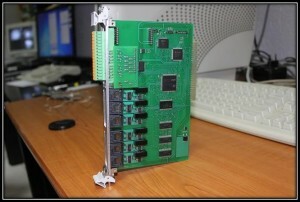 This card accepts input that are configured with digital quadrature signals and or buffered position data from our SolidWorks MoDusCAM SolidWorks application. Custom written code may be done for your requirements. Just let us know. It receives buffered position data out of the inverse and/or direct kinematics modules. The board then fires at the instant it receives 6DOF encoder data that corresponds to a buffered position thus achieving a position synchronous output activity. The card has eight (8) insulated Digital Outputs and four (4) insulated Analog Outputs. All of those outputs can fire at a rate up to 5 MHz. Its current resolution is that it can fire an I/O at end-effector speeds of 1 m/s every 10 microns. ( .01mm or 0.00039in). This resolution goes up when the speed goes down. With this device we can fire fast lasers, for example, as a function of their true 3D position. 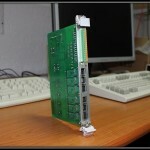 This card can be an USB version thus a stand-alone unit to your process. Take a look at Flexible Robotic Environment and their offerings.